BOOKS DRAW SHOPPERS TO YOUR STORES, WE MOVE THEM TO WHERE THEY WILL SELL. Up until about 2014, paper books were getting a bad rap. Digital got all the glory. Despite the misplaced attention, the book business continued to thrive. Consumers enjoy the tactile experience books provide. They buy upon impulse. They buy upon recommendations. They buy a hot title, a hot author, or a hot genre. This is true for Millennials, also. Make sure they discover their next read in that book section of yours. Books will slow your shopper down, which often translates into bigger baskets. The variety that books offer can help retail build shopper loyalty. Book publishers do such a great job generating excitement. Few products can move shoppers to line up for a new release! In Canada, we capitalize on the trends, buy, distribute, deliver and display them quickly so they can be added to that shopping cart. In the US, we move them from back rooms to the shelf, often within hours of delivery. Suggested reads, seasonal displays, moving on hot categories, movie and TV tie-ins are what we’re always looking for to help add impulse sales at retail —and we know a vital part of your sales includes merchandising. We do that too. Books give consumers the ability to escape, to relax, get smarter, and to be inspired. Reading provides hours of entertainment, an affordable treat. Books in your store enhance the shopping experience, that experience adds to how consumers view your overall store brand. As a vendor, you already know that non-traditional retail channels are the fastest growing for book sales. Click here to learn more. Books are experiencing a resurrection of sorts. E-reader sales have slowed and hard copy book sales have continued to be up slightly year over year. Consumers are getting back to that tactile experience. Book buyers rank among retail’s best customers. That translates to bigger baskets and more impulse sales. “Influentials” influence 91% of the population. They’re avid readers. 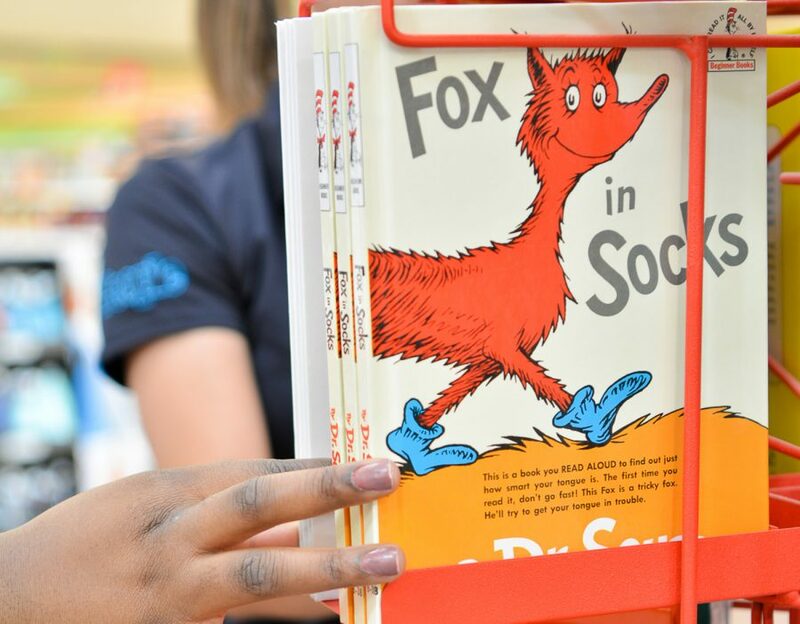 Books create in-store experiences for your shoppers. How do I get my book into stores?